Kelli Goldsborough, NP, set out to study social work. But she gravitated toward nursing in school — first becoming a licensed practical nurse, then a registered nurse (RN) and finally a nurse practitioner (NP). What’s the Difference Between a Registered Nurse and a Nurse Practitioner? While RNs and NPs both tend to patients’ needs and treatments, nurse practitioners must complete a masters or doctoral educational program while RNs are required to complete a nursing program. In addition, NPs are able to see and treat patients on their own as well as prescribe medications. This is why you’ll commonly see an NP at a specialized practice, such as UM Community Medical Group – Primary Care, rather than at a hospital. 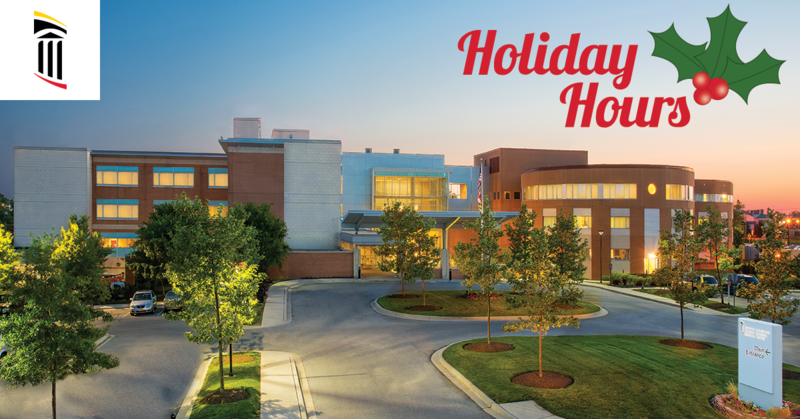 From inpatient and outpatient settings to the health department and even hospice in St. Mary’s County, Goldsborough’s background is diverse and wide ranging. Now, she’s found a home in primary care. When Goldsborough is off duty, her family takes center stage. With three girls at home, after-school time and weekends often revolve around activities like Girl Scouts and dance. Goldsborough also makes time for extended family. 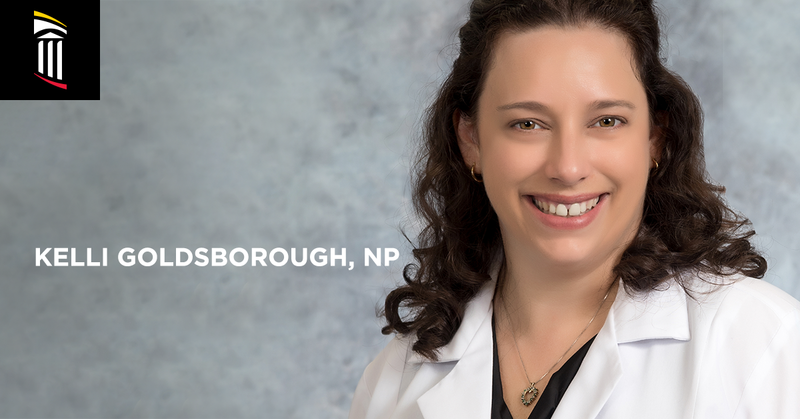 Want to schedule an appointment with Nurse Practitioner Kelli Goldsborough? Give us a call at (301) 609-5044 today. Summer’s only just officially come to an end, but flu season is right around the corner. But does that mean you need to get the flu shot right now? We break it all down below. 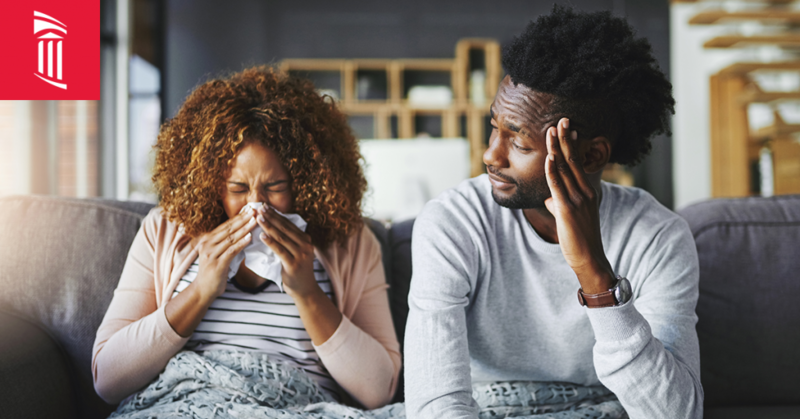 When you hear the term “flu season,” it’s generally in regards to the time of year when the seasonal influenza virus, which can cause mild to severe illness, is most widespread. Generally, flu season begins slowly in the fall and picks up through the end of winter. But the Centers for Disease Control and Prevention (CDC) notes that “peak” flu activity (when the most cases of the flu are reported) has happened at least once in every month from October through March since 1982. But statistics also show that February is the most common month for peak flu activity. Because the seasonal flu is an unpredictable virus, the CDC and other agencies can only make educated assumptions about when the seasonal flu will hit hardest in any given year. Also, outbreaks can occur more than once in a single flu season. For the 2018-2019 flu season, the CDC recommends that health care providers offer vaccination by the end of October. Ideally, vaccination should occur before peak flu activity is recorded because it takes up to two weeks for vaccine antibodies to develop in your body, so October might be the best time to get vaccinated. If you’re unable to get the flu shot before the end of October, it is still recommended that you get vaccinated as long as flu symptoms remain in your community and you’re medically able to do so. Talk to your doctor if you have any questions about the need for or timing of the seasonal flu vaccine. According to the CDC, everyone over the age of six months should get vaccinated every flu season. The more people who get vaccinated, the less likely it is that you or those around you get sick. Widespread vaccination is especially important for those who have weakened immune systems or for those who are unable to get vaccinated themselves. Of course, there are certain medical conditions that may prevent you or someone you know from getting vaccinated. Talk to your doctor if you have any concerns about getting the flu shot or its potential impact on any existing health conditions. Want to learn more about the flu, actions you can take to prevent the flu, or what you should do if you get sick? Visit the CDC website or contact your local health care provider today. Is there anything worse than getting sick during before you travel or take time off for the holidays? Your overall health and wellness are directly correlated to how much sleep you get every night. Give your body the energy it needs to make it through the day and fight off sickness by dedicating yourself to getting at least seven hours of sleep every night. 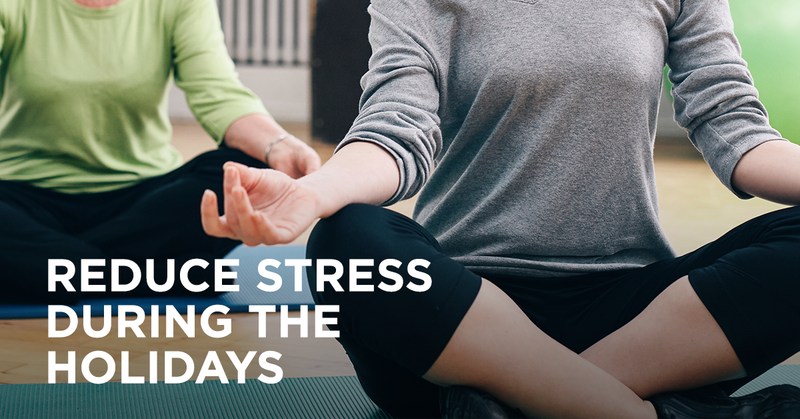 This might seem like a no-brainer, but it’s even more important this time of year. 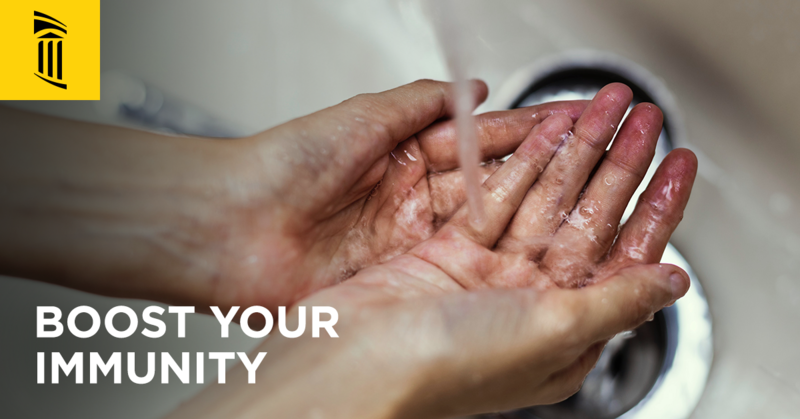 Before you prepare or eat food, after using the bathroom, or after you blow your nose, take time to wash your hands or use hand sanitizer. 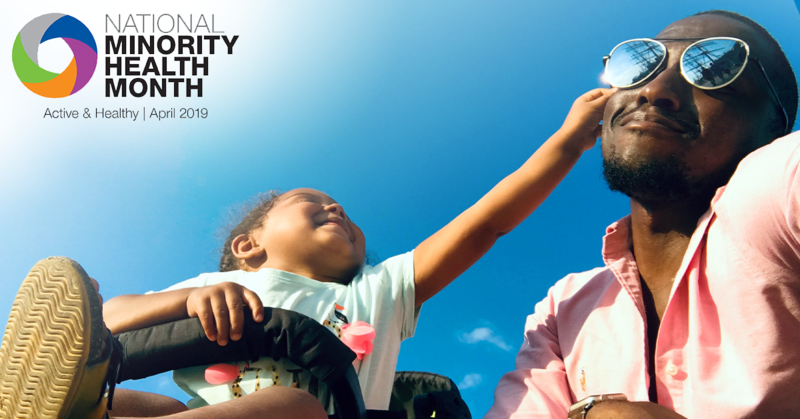 You’ll help protect yourself and others around you at the same time! Although it can take up to two weeks for the flu vaccine to be fully effective, there’s no better time than now to get vaccinated. You’ll protect yourself and everyone else around you, especially those who are most vulnerable, from this debilitating sickness. Make a conscious effort to avoid rubbing your eyes or face during this time of year. As the seasonal flu reaches its peak level of activity and the common cold spreads, touching your face makes it easy for bacteria and virus to get inside your body and get you sick. Now’s the time to meet with your doctor to get a checkup and discuss any health concerns you have heading into the holidays. What’s more is that your doctor can give you additional tips and advice not covered in this blog! 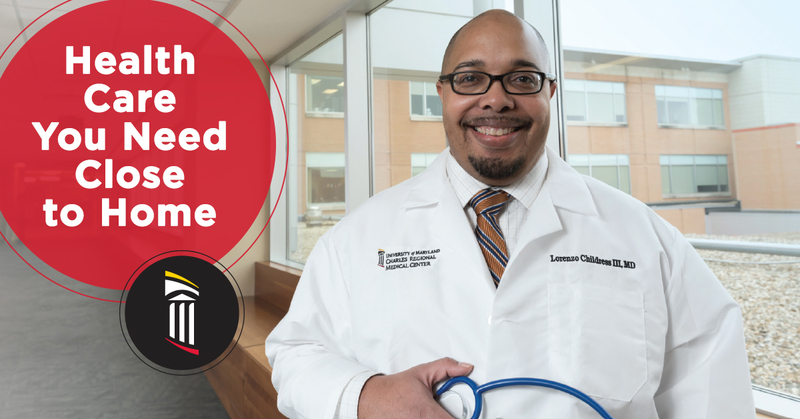 If you’re having trouble finding an appointment time with your current doctor, consider Dr. Lorenzo Childress. 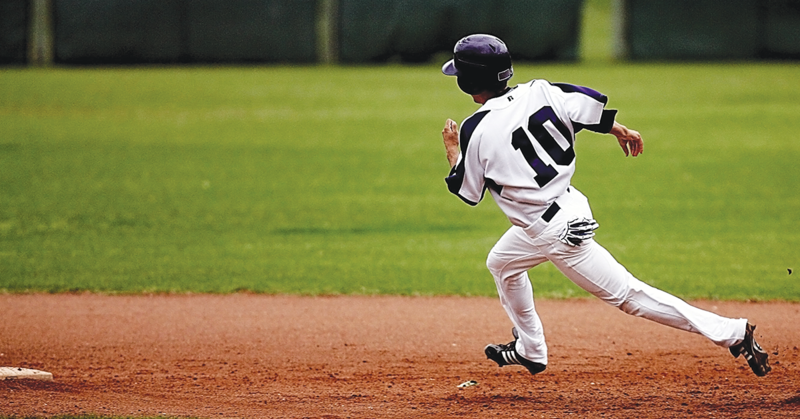 His office is located right here in La Plata and regularly offers next-day appointments. 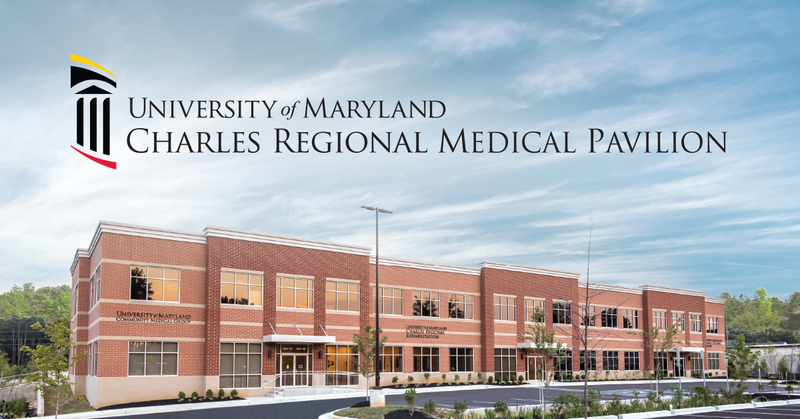 You can learn more about this UM Community Medical Group practice here.